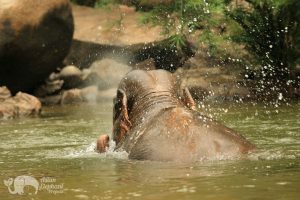 Spend the day with elephants in the jungles of Northern Thailand, followed by whitewater rafting for an experience you are unlikely to forget. 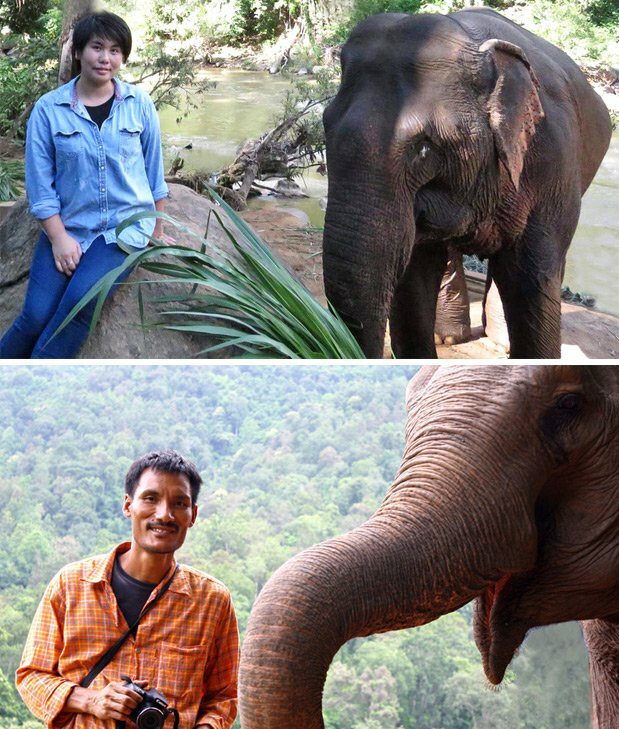 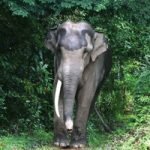 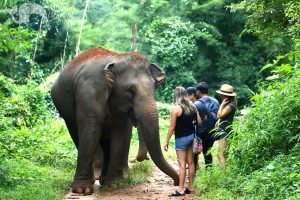 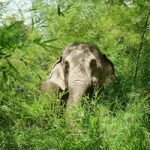 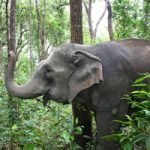 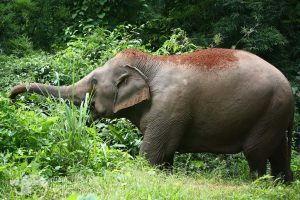 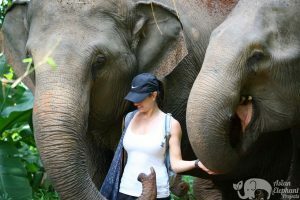 Our driver and tour guide will meet you at your hotel/guesthouse in Chiang Mai and en route you will be shown a video about the plight of the Asian elephant, as well as safety tips for your tour. 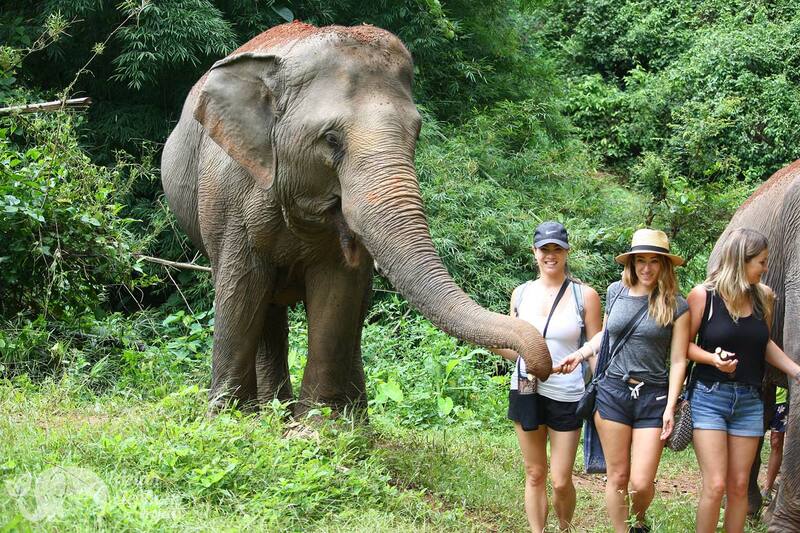 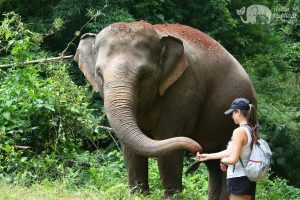 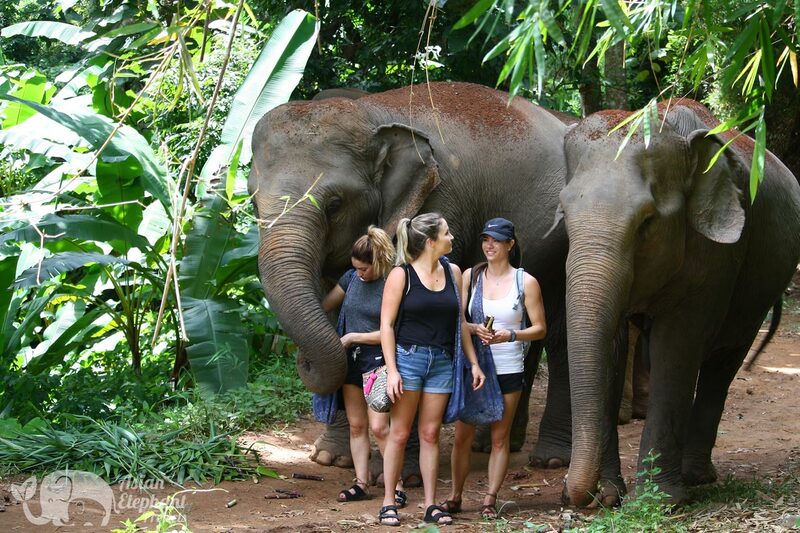 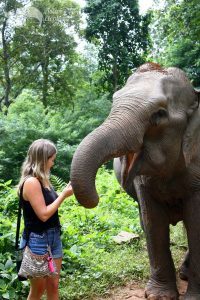 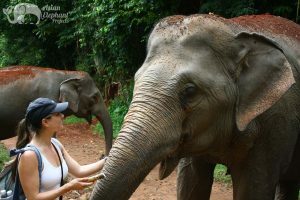 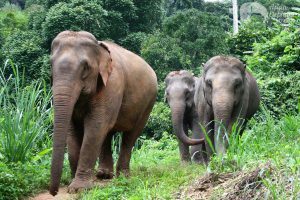 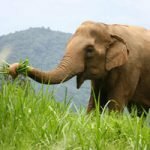 Arriving at the project in the scenic Mae Taeng valley, meet the elephants in the jungle and get to know them while feeding them. 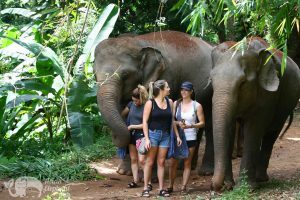 Next, take a walk with the elephants through the surrounding jungle hill trails, handing them fruit and stopping to watch them forage along the way. 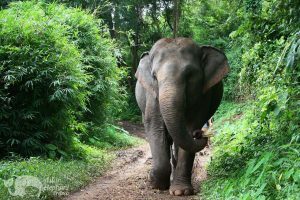 The walk on this project passes through particularly stunning sections of jungle, richly populated with native plants. 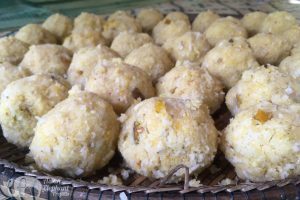 Following a vegetarian buffet lunch overlooking the valley, cut fruit to feed the elephants and prepare rice-pineapple-tamarind balls which aid their digestion. 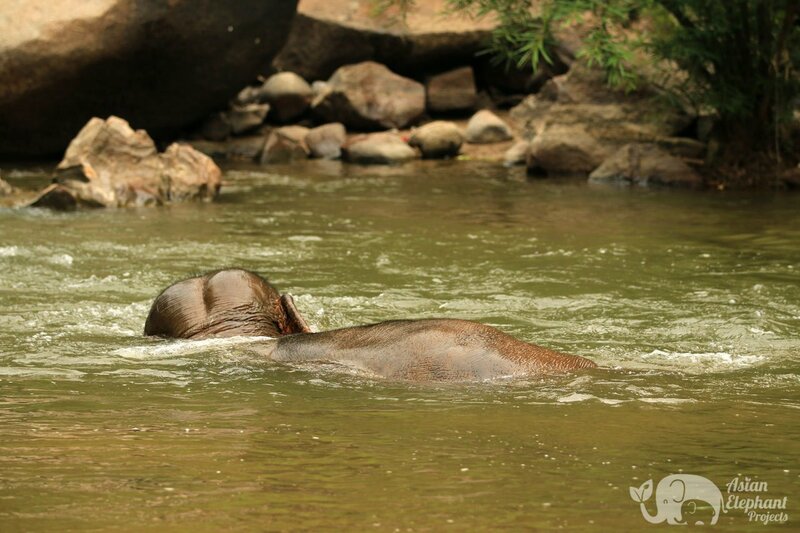 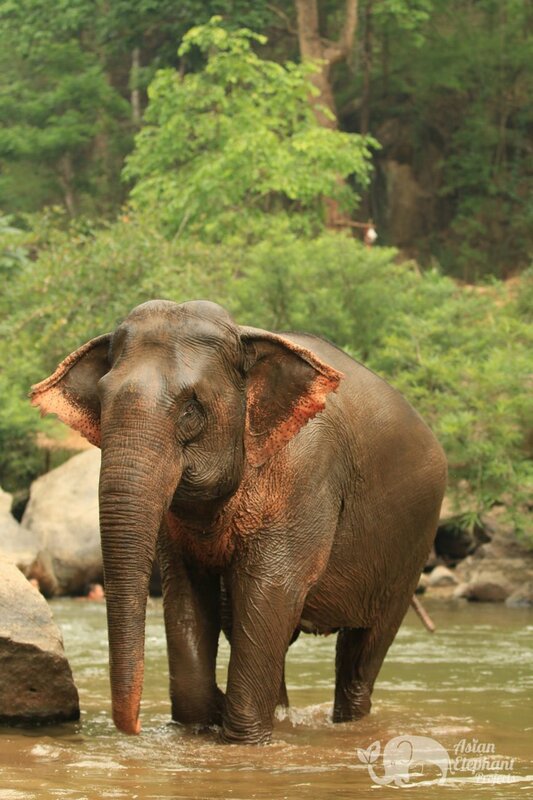 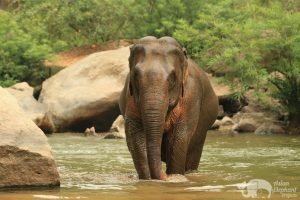 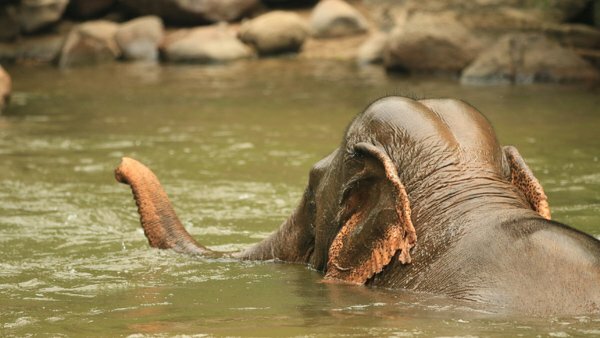 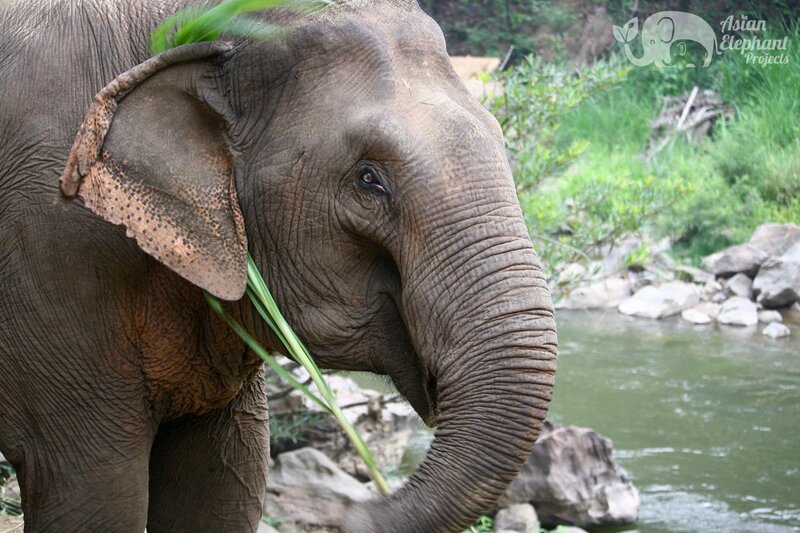 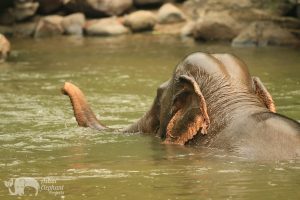 After cooling off in the river while bathing the elephants, feed them the fruit-rice balls as a parting gift. 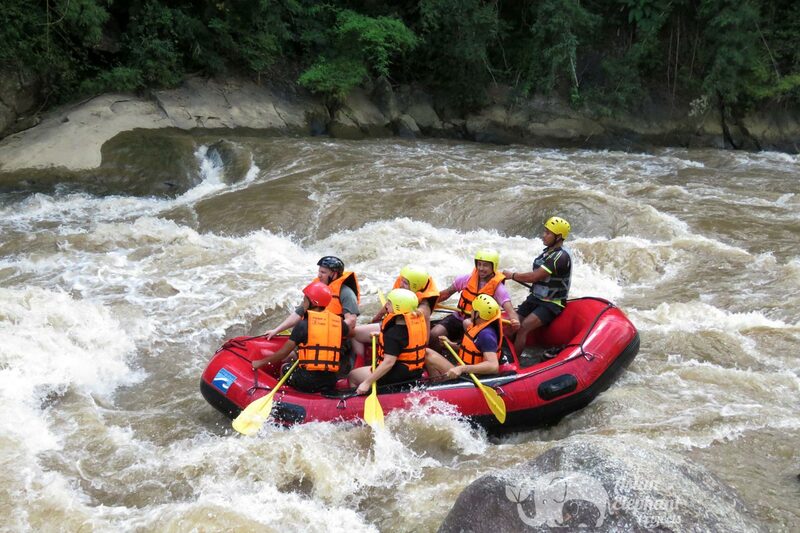 The tour ends with a thrilling whitewater rafting adventure down the Mae Taeng River, passing spectacular scenery along the way. As part of a small group, you will have plenty of opportunities to get wonderful photos of the elephants interacting with each other in a beautiful natural setting. 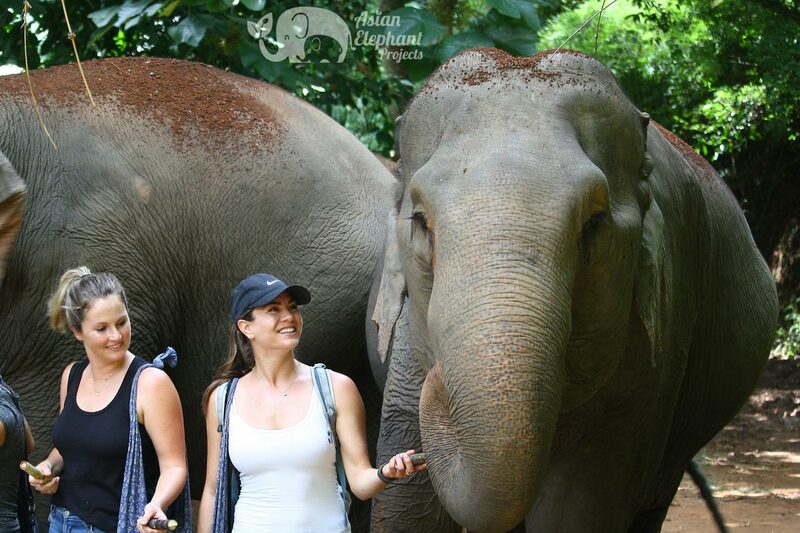 Observing elephants doing what comes naturally in a relaxed, caring environment is an amazingly rewarding experience. 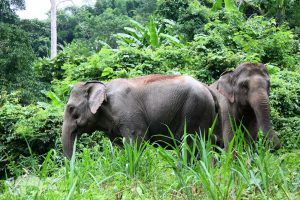 Travel Details: Transfer from an air-con minivan to a 4WD vehicle for the last 10 minutes of your journey to the project. 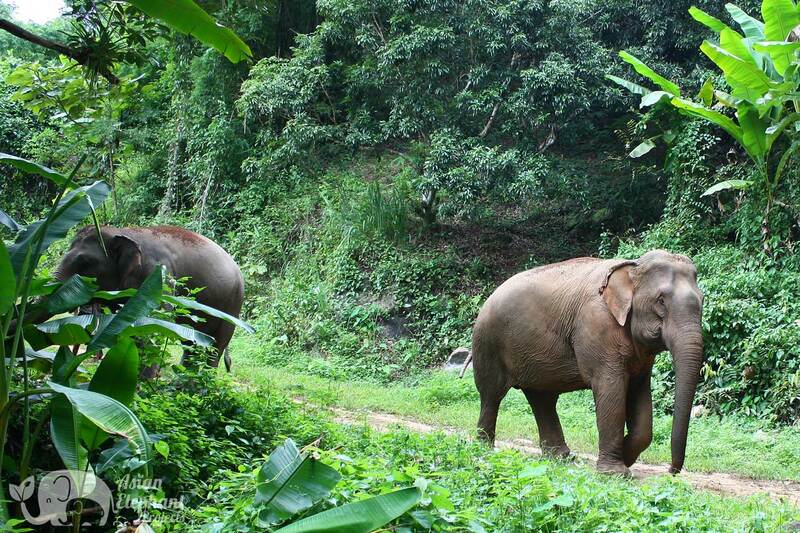 Return: Arrive back in Chiang Mai city 4:30pm – 5.00pm. 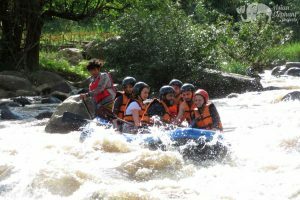 Fitness Level: Moderate – capable of walking for 1-1.5 hours along mountain paths with uphill sections and uneven ground / white water rafting depending on conditions. Topography: Mountain, jungle & river. 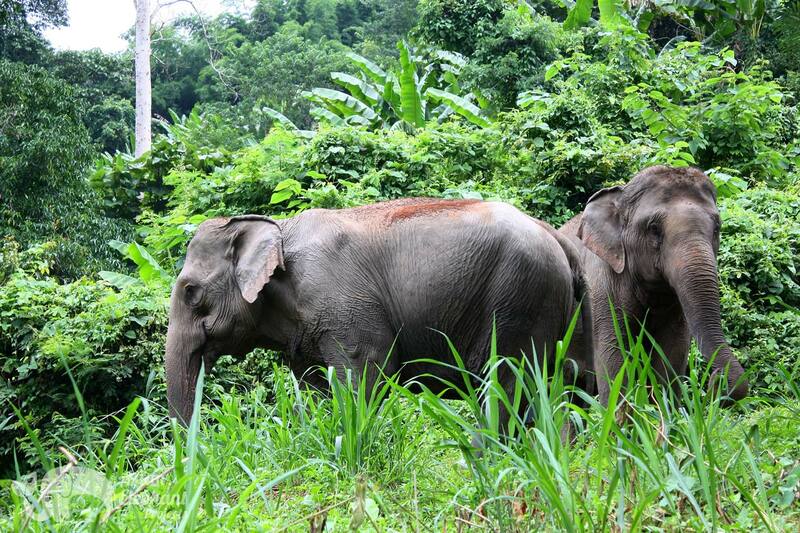 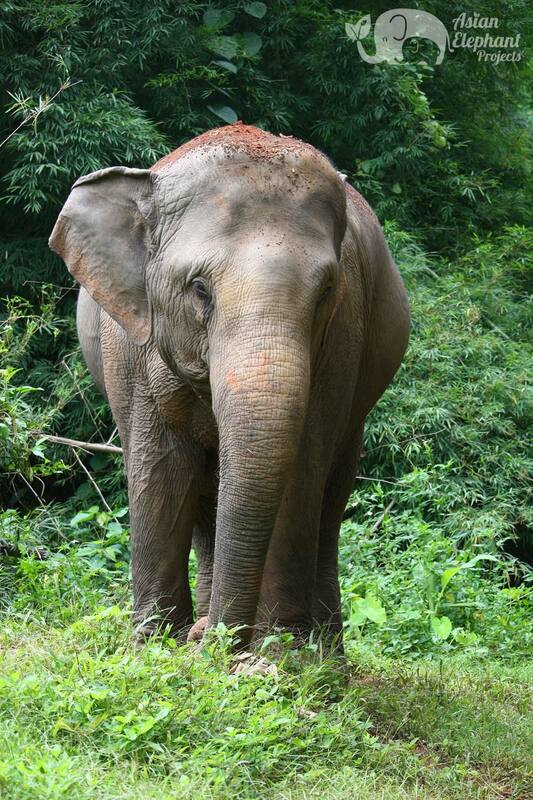 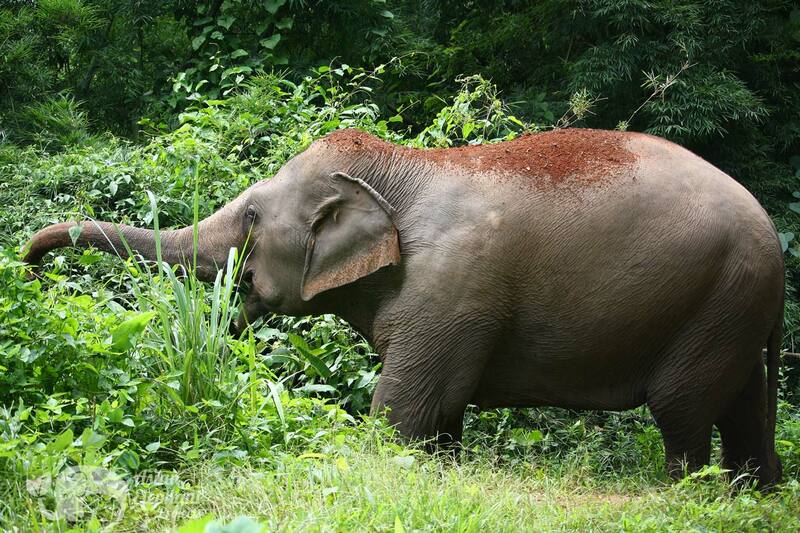 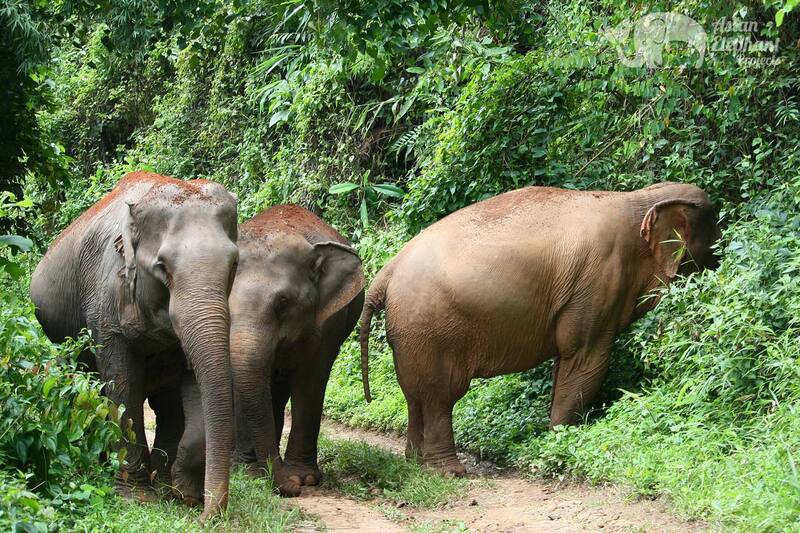 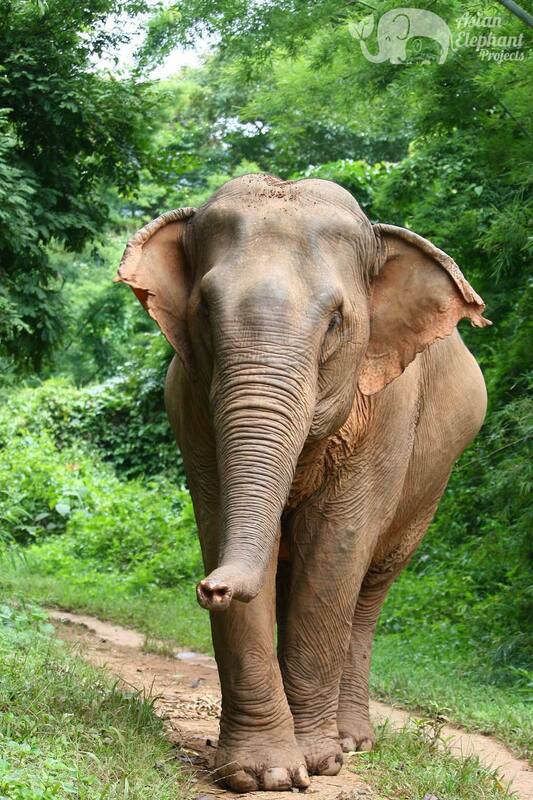 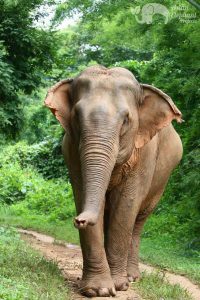 Pin and her husband, Tu, established an elephant camp for tourists with whitewater rafting back in 1996. 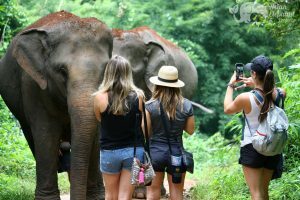 Over the years they became more and more aware of how the elephants suffered in this form of tourism and how much it affected their health. 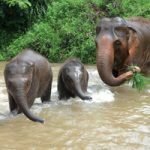 They saw that some of the other elephant camp owners were transitioning away from offering elephant riding and wanted to make the change as well. 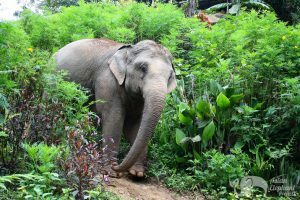 With Lek's help, Majestic Elephant Project opened in August 2016 and is home to three elephants who are now enjoying their retirement from a hard life working in logging and elephant riding. 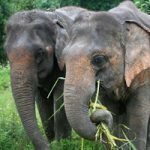 Pin and Tu are glad to have embraced the opportunity to change to a more compassionate model, where the elephants live with dignity, are able to roam and forage and interact with guests in an atmosphere of respect and admiration.